Need a little luck? 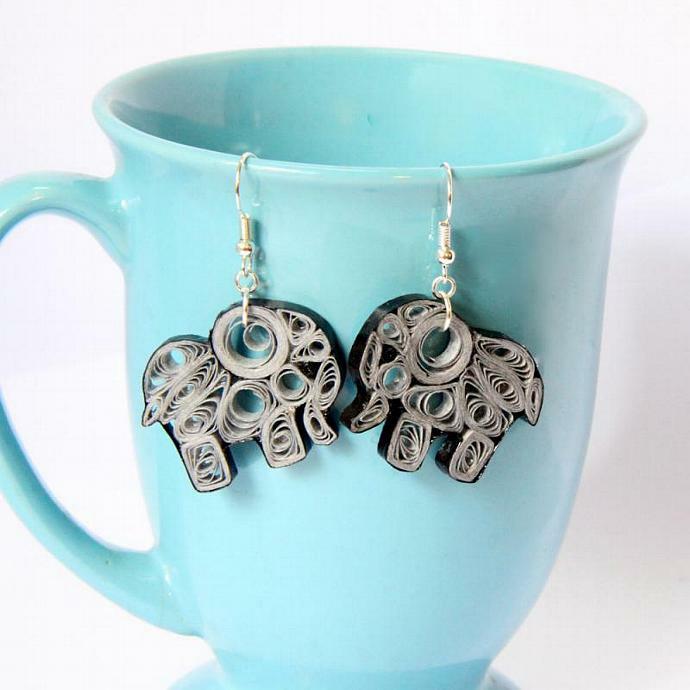 These adorable elephant earrings just might bring it to you! 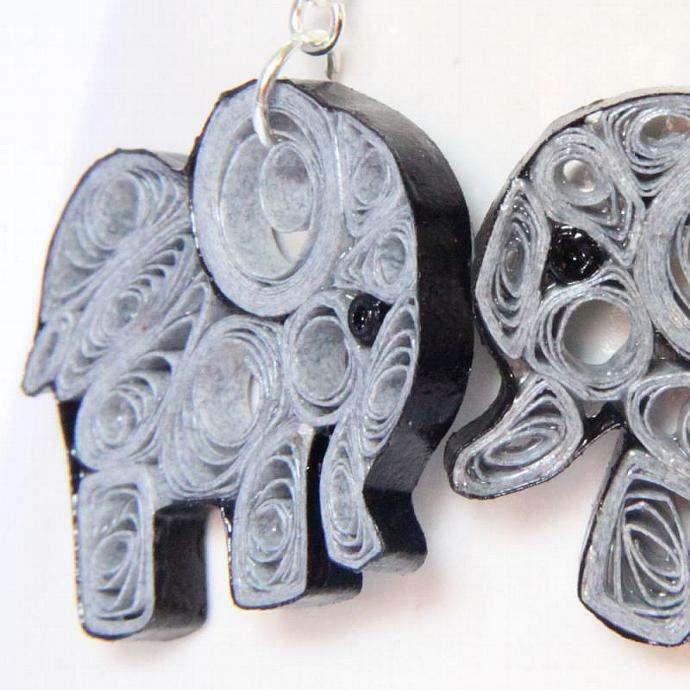 Each one is OOAK, eco friendly, and handcrafted by the art of paper quilling. 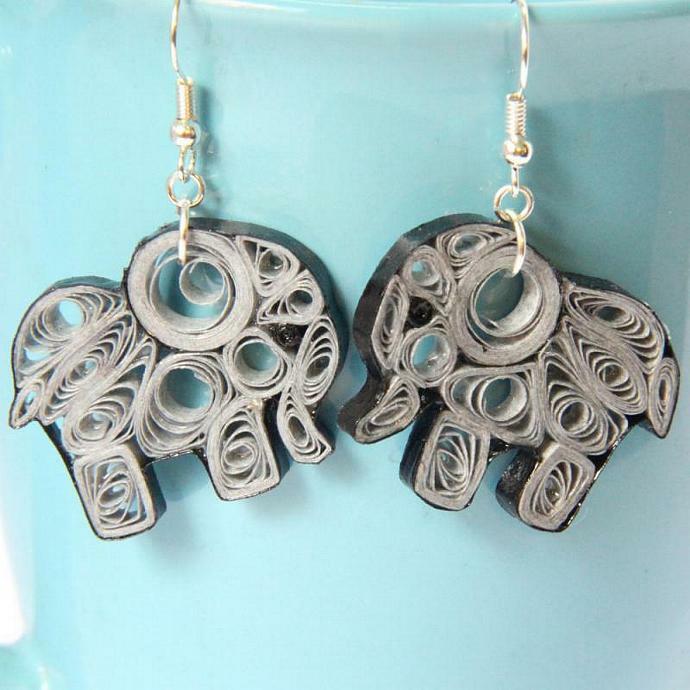 These are sure to elicit many compliments! 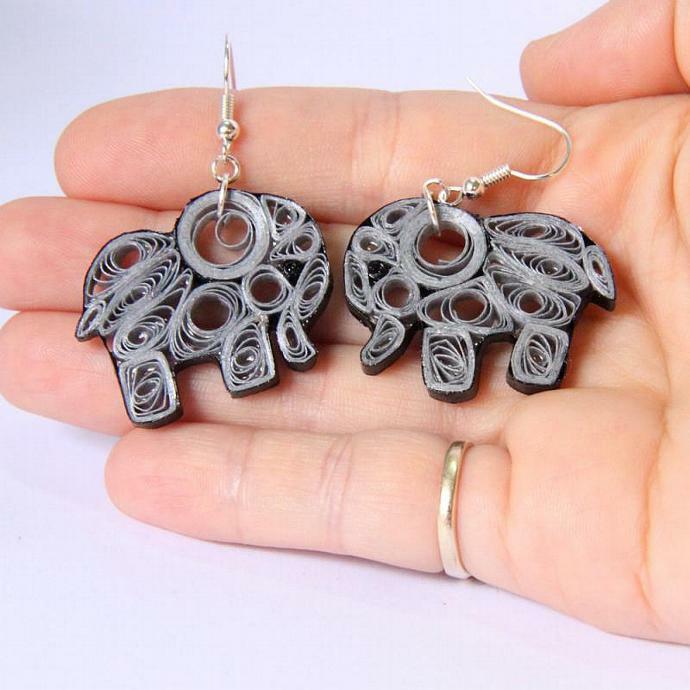 The elephants are hand varnished for a sturdy, water resistant finish. 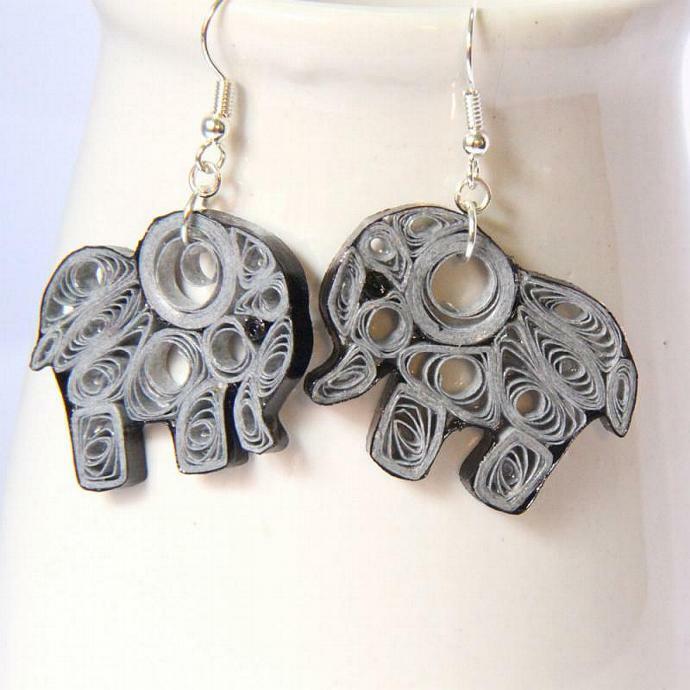 They are finished with hypoallergenic and non tarnish niobium findings. *note* the pair pictured has been sold. The instock pair is the same colors and design, but because of the handmade nature they each differ slightly and are OOAK. If you like the design, but prefer a different color, let me know and I can make you a pair in any color (or combination of colors) you wish! Simply purchase this listing and let me know what color(s) you'd like! They will be made the same size and with the same pattern, but each one will be unique!